Yo, you got the juice now, man. Oh yeah! I have the same juicer and love it. 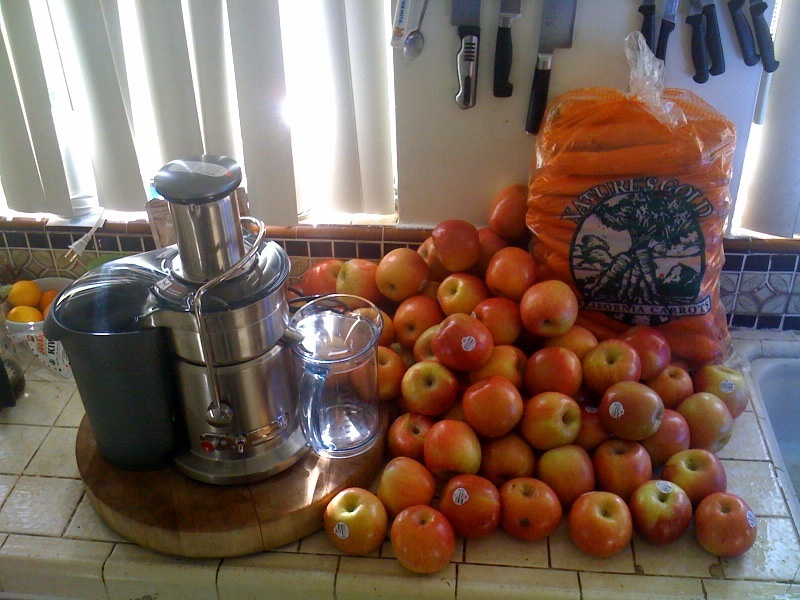 Today in fact I juiced up the following: apples, carrots, celery, kale and fennel….so good!Enjoy! I want a juicer so bad. Did you juice all of those apples? Haha. I give you 4 to 6 months of juicing b/f you put that thing in the corner and let it gather dust. p.s that is a lot of apples even for you. We're on our second case of apples already! Haven't experimented enough with other juices, but it'll come. Anon: If you know me why leave an anonymous post?